Where did this beautiful creation known as yogurt come from? Today’s infographic gives us the scoop! Professor Mauro Fisberg (from the Federal University of São Paulo in Brazil) presented the history of yogurt and current consumption patterns at the 2nd Global Summit on the Health Effects of Yogurt, in San Diego, California, on 30th April 2014. He discussed the history of yogurt through the centuries, emphasizing its close links to the evolution of civilizations. 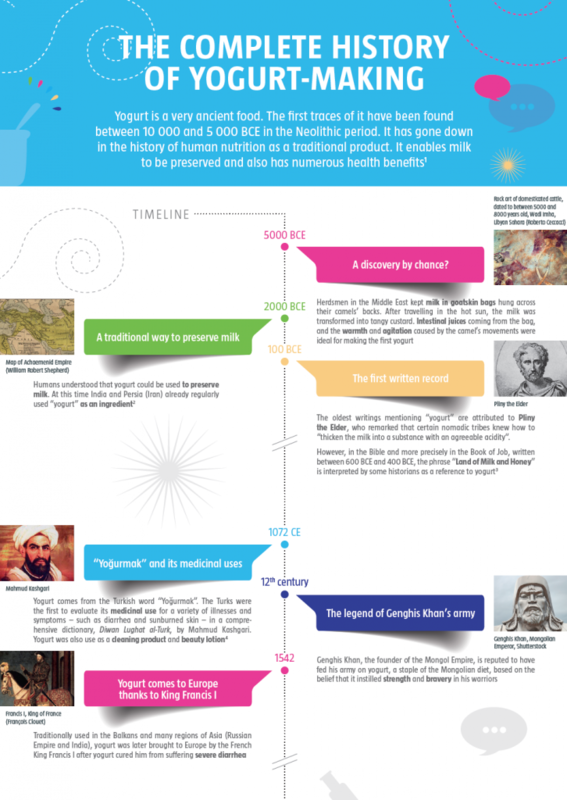 Enjoy also our beautifully crafted interactive timeline that are easy and intuitive to use!